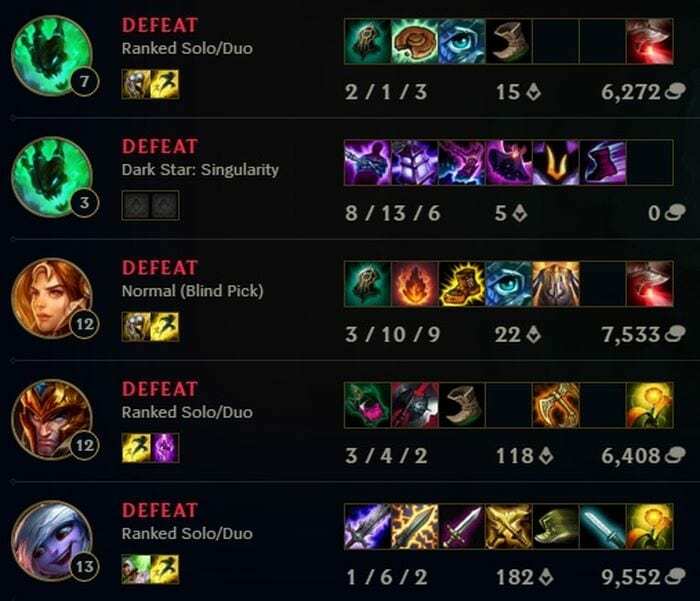 This is a guide on how to overcome a losing streak in League of Legends. This includes tips, questions, and solutions on how you can control your winrate. A losing streak may sometimes be not due to poor performance, but to stress and other factors. Are you sure you have slept well before queuing in a game? Do you have any problems that you can’t seem to get off your head? Sometimes it’s better to be relaxed and comfortable before playing a strenuous game like League of Legends. LoL players tend to experiment a lot with new play styles and tricks to improve their game style. If you are having a hard time with this system, it is best if you just stick with what you are comfortable with. Some players like experimenting with different kinds of roles. That’s fine, but please try not to test out new strategies in ranked games. With the recent addition of practice tool on patch 7.3, practicing heroes may now be more convenient. Sometimes, playing a certain role may not be the right one for you. It’s best that you do not stick to one role and try to learn an extra role in case you do not get your desired role in champion select. Playing to win instead of playing your best usually leads to bad results. Do not worry about the outcome of the game and focus on the game at hand. Some players usually have an idea of who is in favor of winning the game in champion select, do not assume you are going to lose a game because your were counterpicked. League of Legends is an unpredictable game, nothing is usually set in stone, so do your best and quit worrying. Playing with your friends can make the game more fun and relaxing. They also promote communication and teamwork so you have a better chance at winning games. The more friends you have in the game, the better. Losing can be very depressing to some players, but we must also remember that is it just a game. Taking these losses personally can lead you to more frustrations in your next games. Don’t take it too hard and move on with your next game, it will get better.